Photo: Michael Muller/? 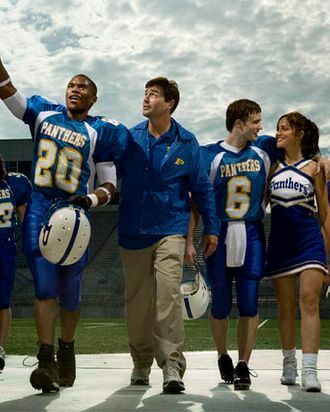 NBC Universal, Inc.
For those who missed it on DirecTV last winter, the beloved Friday Night Lights finally returns to NBC tonight for its fifth — and last — season. As Slammin’ Sammy Meade might tell you, “It’s Fourth Quarter, East Dillon Fans, and it’s about to get real.” The smart fan will have prepared for the inevitable good-bye; the less mature among us may choose a different route. 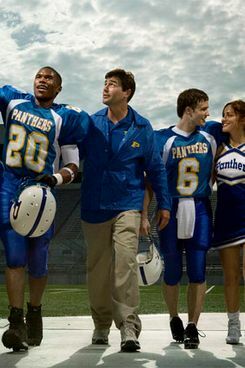 Like, say, hunting down all our favorite characters’ new projects and obsessively comparing them with their FNL glory days. If the latter approach appeals to you, then please join Vulture for a special Friday Night Lights episode of “Where Are They Now?” with special annotations specifying the new characters’ Lion-like qualities. To the lineup!